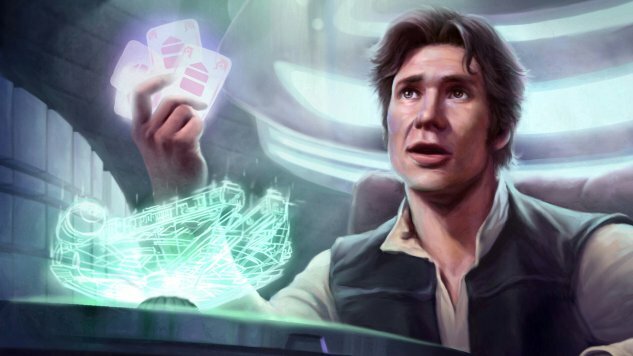 The game is so popular that players fly from all corners of the galaxy to partake in the Cloud City Sabacc Tournament. This is notably where Han Solo played and won a game of Sabacc against Lando Calrissian. Considering his prize was the Millennium Falcon, I guess you could argue the game is pretty integral to the plot after all. Fun fact: Dejarik is the second most popular game in the galaxy. Described as ‘holochess’, Dejarik players use eight unique pieces ( all with unique strengths and weaknesses ) to battle their opponent on a round chess-like board. Pro tip—let the wookie win. 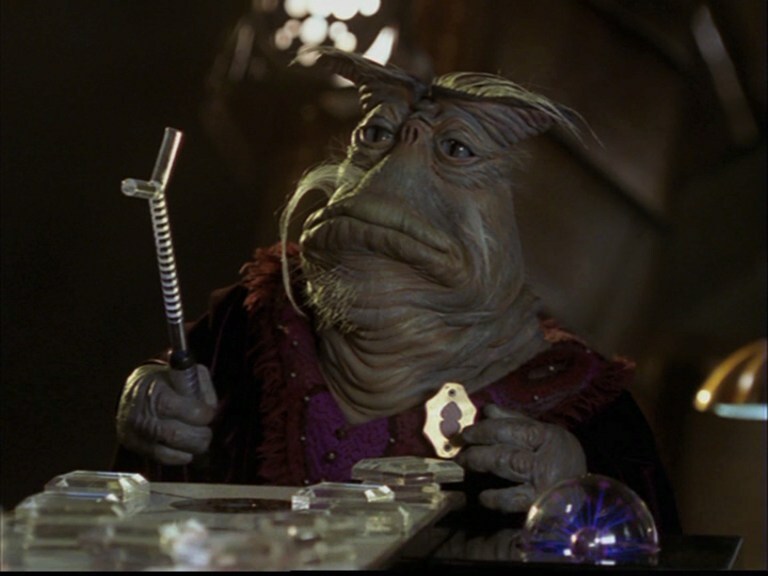 The strategy boardgame is a favourite of Rygel’s in Rockne S. O’Bannon’s Farscape. Players move stacks of gem-like tiles over squares on a board. After the stacks are moved, the board lights up with holographic pillars. An element of bluffing is involved and the game is often used for gambling. Though exact rules are undefined, Tadek is clearly a descendant of chess. Social games are commonplace amongst Starfleet personnel. In Star Trek: The Original Series, we see Spock and Kirk challenge each other to some three dimensional chess, whilst a later episode introduces the complex Fizzbin. 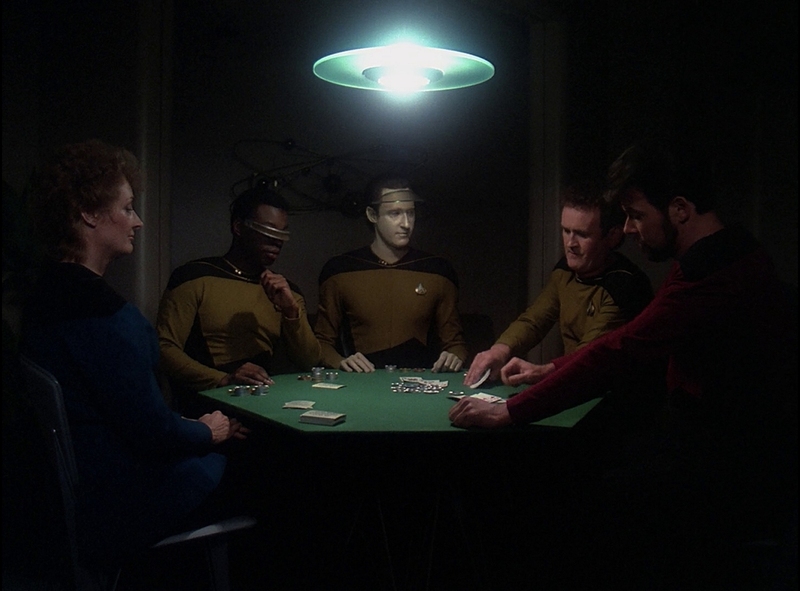 Star Trek: The Next Generation reveals poker is still as popular as ever with a variant of five-card stud featured heavily throughout the series. The game variant is very reminiscent of what can be seen in the famous poker scenes of M.A.S.H. Just like in M.A.S.H., poker plays an important part in the show. The crewmembers’ games give us a personal and charming look into the social interaction between key characters during their leisure. The games also provide a setting around which character development and plot foreshadowing can be cantered. Data, the sentient but apparently emotionless android, is particularly susceptible to learning from the game and its metaphors. Data learns how theory and practise can be vastly different (reading about poker doesn’t make you an expert in it), and how easily humans can feign confidence (evidenced through Riker’s excellent bluffing). Data also hosts the particularly memorable poker game between Isaac Newton, Albert Einstein and (the real) Stephen Hawking on the Starship Enterprise’s holodeck. Unfortunately, Data is called to the bridge before the four geniuses have a chance to determine a winner. Fun fact: Wil Wheaton is today a member of Team PokerStars. I wonder how often he hears ‘Shut Up, Wesley’ at the card table. Between all the gunfights, heists and Alliance-dodging, it could probably get a little boring onboard Serenity. No doubt the crew knew of a few games which let them kill time on long journeys through space—Tall Card, for example. 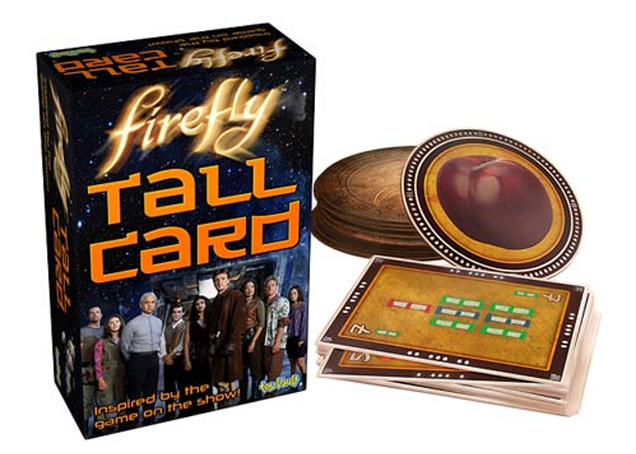 The game features briefly in Firefly’s fourth episode, “Shindig,” and is played by Book, Jayne and Simon. True to their characters, Simon fails, Jayne cheats and Book is deeply concentrated. The playing rules are unknown, and Simon’s specification of “Plums are tall” doesn’t give us much of a clue, either. The game only appears once in the show, and without any indications as to the rules, but the loyal Browncoats are not to be underestimated—even 13 years after Firefly’s cancellation. As of 2015, you can buy your own Tall Card deck with established rules. The set of cards are beautifully designed with Chinese themes as seen on the show. Never having come up with any concrete rules, the producers of the reimagined Battlestar Galactica encouraged cast members to improvise the gameplay. Consequently, Triad (or Pyramid, as it was so called in the original series) became a kind of futuristic poker. Players bet according to their hand, where colours seem to signify some form of value. The cards’ hexagonal shape and random symbols make them particularly distinctive. Unsurprisingly, you can purchase your own set of Triad card replicas which come with fan-invented sets of rules. The card manufacturers recommend Kobol Hold’Em or Gemenon Hi-Lo. Sophie Jackson is a journalist specialized in pop culture and politics. She can be followed on Twitter.